In a recent production tutorial, Om Unit described musicians as “transceivers of information”. “I think once we understand that”, he continued, “then it becomes less about making things with such a fixed perspective and more about adding something reflective to the landscape by using our own techniques to hopefully create something unique and convincing.” Taken in context this may have been a quite about production, but it also extends to the philosophy that makes Om Unit’s music tick. You only need to read one interview to realise that he’s religiously studied the forms of music dearest to him, and thought long and hard about what he can add to them. He doesn’t take his position as a musician lightly, in short. He originally did this as 2Tall, releasing a series of albums and mix CDs from 2004-2008, including the brilliant Beautiful Mindz, a collaboration with Dudley Perkins and Georgia Anne Muldrow. 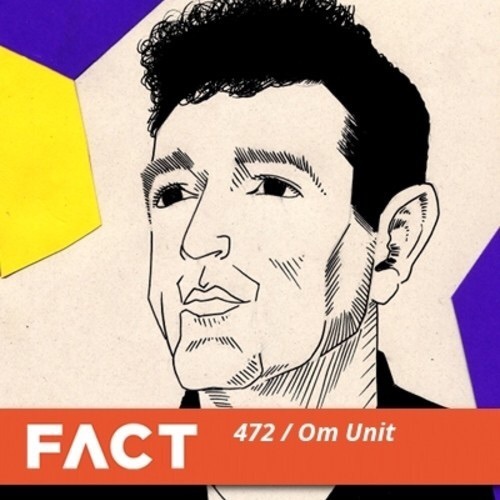 As Om Unit, he found his opening act with a white label edit of Joker’s ‘Digidesign’; the track was heavily supported by Plastician, who signed Om Unit up for a full EP on his Terrorhythm label. Om Unit continued to released warped hip-hop on labels like All City and Civil, but in 2011 something really clicked. Inspired by Chicago’s footwork scene, which had started making waves in Europe due to the support of Planet Mu and others, he released a series of EPs under the name Philip D Kick which explored the then-mostly-untapped ground between jungle and footwork. He wasn’t quite the only one doing this – in fact, when Om Unit and Machinedrum discovered they’d had the same idea, they joined forces for an EP as Dream Continuum – but he was among the first to discover this winning formula, and it led to a whole new phase of Om Unit’s career. After years of studying the form, he was now a fully-fledged jungle producer. Like the best jungle producers, Metalheadz eventually came calling. Om Unit’s latest EP Inversion was released last week on ‘Headz and saw Om Unit given access to label boss Goldie’s DAT archive and sample collection, which he “gladly used as salt ‘n’ pepper to spice up the work.” This week, he toasts Inversion with a mix that leans heavily on producers like, like himself, started off making non-jungle music but have been drawn to the style of late: Lee Banon, Etch, Lee Gamble and Teklife’s DJ Earl all feature, alongside 4Hero, Dead Can Dance and more.